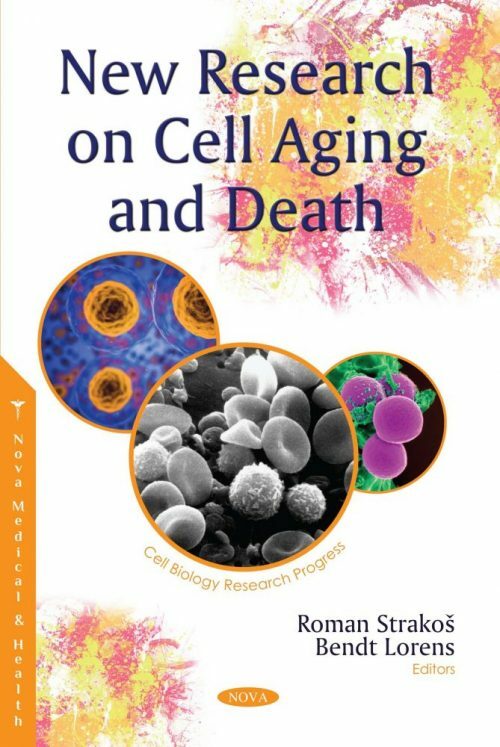 New Research on Cell Aging and Death reviews previous literature to describe the main behavioral and biochemical characteristics of the SAMP8 mouse model, discussing its main advantages as well as potential weaknesses to model age-related diseases. The subsequent chapter discusses the effect of the mechanism of cell death of neutrophil granulocytes on the realization of the inflammatory process. Neutrophil granulocytes play a central role in the innate nonspecific defense response of the human organism. In addition, neutrophils infiltrate secondary lymphoid organs where they regulate the development of adaptive immunity. Later, the authors suggest that in C. albicans, apoptotic mechanisms are valuable as major strategies with several characteristics such as phosphatidylserine exposure, DNA fragmentation, and activation of metacaspase. Studying antifungal agents with varying mechanisms of action can be effective in appropriately treating potentially fatal candidiasis. In one study, the authors focus on the effects of aging on adult neurogenesis, a process of producing new neurons from neural stem cells and neural progenitor cells in the neocortex, comparing the dentate gyrus and subventricular zone. In the concluding review the authors evaluated the effects of natural and chemical compounds on promoter activities of several human DNA repair-associated genes in HeLa S3 cells. . The results indicated that naturally occurring compounds, for example, trans-resveratrol, upregulate TP53 promoter activity. Sustaining an appropriate level of genes encoding DNA repair factors is thought to be necessary for cell survival by preventing the accumulation of DNA mismatches and epigenetic alterations.